Embrace 2018 with sweetness and warm, as Starbucks continues to offer delightful food and beverages to everyone on a good vibes and relaxed. 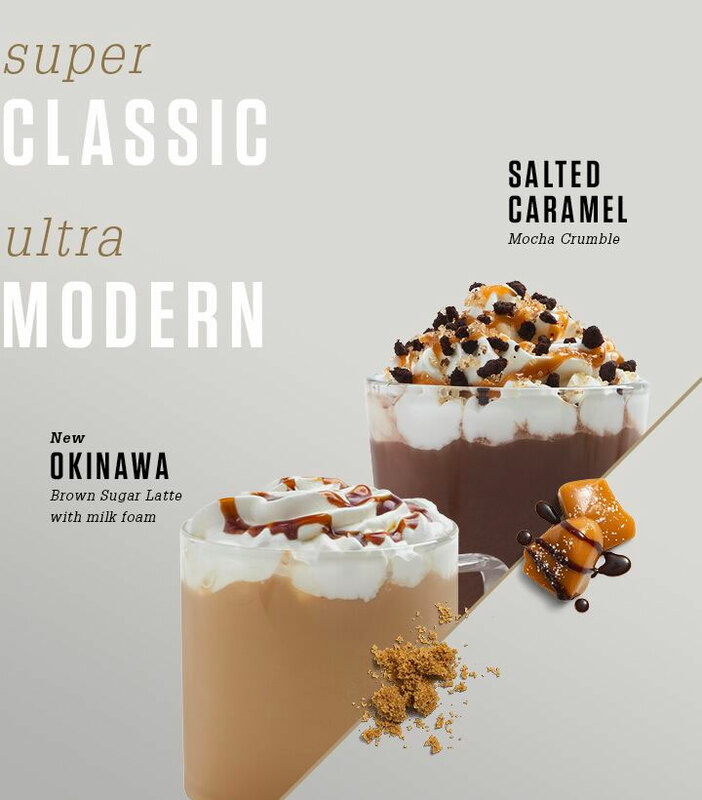 Starting January 9, they will be releasing new in their menu including the deliciously sweet Okinawa Brown Sugar Latté and Salted Caramel Mocha Crumble. Starbucks mixes in one of Japan’s most popular culinary ingredients, the Okinawa Brown Sugar, to create Okinawa Brown Sugar Latté. The elegant drink highlights the hint of molasses found in the sugar and fuses in light caramel for a less sweet, coffee forward drink. 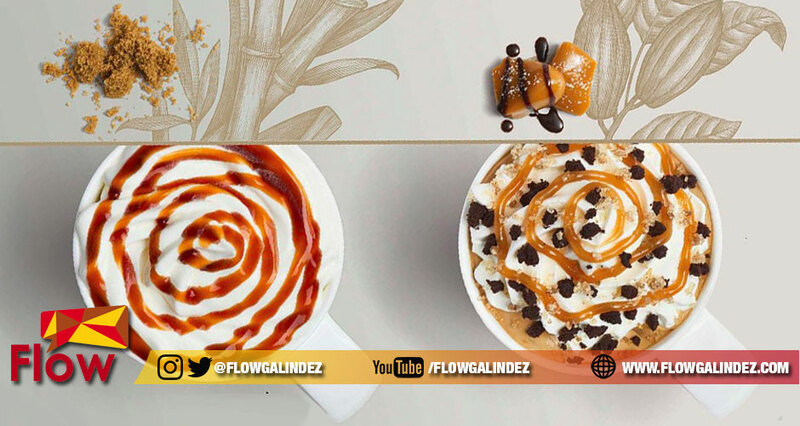 Meanwhile, our favorite Salted Caramel Mocha Crumble, combines deep chocolate and espresso flavors with toffee nut syrup, layered with a delicious combination of whipped cream and caramel sauce. The beverage is topped with a blend of turbinado sugar and sea salt for a perfect sweet and savory taste. According to Keith Cole, head of marketing for Starbucks Philippines, that we love to constantly surprise our customers with new flavor combinations. This season’s beverages complement our signature Starbucks Espresso and whisks in premium ingredients, like Okinawa brown sugar from Japan, for a modern twist. Okinawa Brown Sugar Latté will be available in hot and iced with prices ; short (Php 155), tall (Php 165), grande (Php 180) and venti (Php 195). Meanwhile, Salted Caramel Mocha Crumble will be also available on hot, iced and blended with prices; short (Php 155), tall (Php 165), grande (Php 180) and venti (Php 195). Next Article Will their hearts find its way home in the finale week of “Pusong Ligaw”?